Interesting thing I have encountered with my travels across the United States is what kind and what tempos of music are played as it gets into the late night hours. 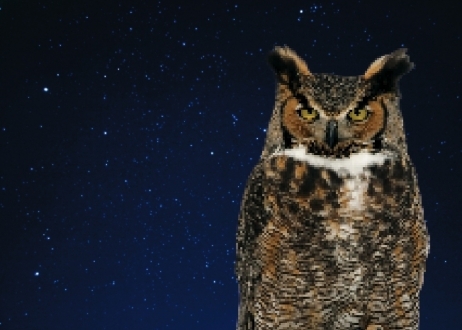 What kind of music do the late night owl's prefer? In Pennsylvania a lot of people insist that once it gets into the late hours it is only appropriate to play blues music. But if you go to Rochester, New York you might be dancing to some soul music at 3 A.M. in the morning. To get even more baffling, at Jammin’ on the James a few months back I distinctly remember a jam circle featuring the song Swingtime in the Rockies during the 1-2 AM hours. The funny thing is, the arguments have not changed in seven years. Read this yehoodi topic to see for yourself. tempos, to me, are meaningless. i like my music hot and full of energy almost all the time, but especially the later it gets. I need music that is screaming at me to wake up and swingout. Not music thats telling me to drink or to hump the cute girl thats hitting on me. If you have any views on the topic, I would love to hear them folks. This entry was posted on December 7, 2010 by Apache. It was filed under Dance . Yeah, screw blues and pop music at late night. I like the same music at night as I do during the day – great dancing jazz. I get so frustrated when things seem to unravel as the night wears on. Best late nights I’ve ever been to are the ones at the last few Cowtown Jamborama’s in Omaha – the players from some of the weekend bands, plus a few dancer/musicians – jammed hard all night long. I do prefer tight, hot, fast music like what Mike describes. I love getting frenetic at the end of the night before going out to chill later. I’m a Lindy Hopper, not a blues dancer. Reminds me of late nights after Camp Hollywood this year when Jonathan was playing with a few people till, what was it, three am? You can never predict what the crowd will want. I DJ the same venue one week and the crowd will love fast tempos one week, and love slow tempos the next week. The opposite will clear the floor sometimes. Our exchange in Columbus is billed as a Lindy and Blues exchange – some years people love and expect slow blues during the whole latenight, but this past year the latenight DJs kept trying to slow down the tempo and it was clearing the floor so they kept spinning the faster stuff and it kept the floor packed. I would never want our DJs to play slower music just because it’s 3am and that’s how it should be. It doesn’t matter what the DJ/band or any one particular person prefers – the DJ/band has to react to the crowd. Majority rules! The crowd might arrive to latenight all energized and ready to battle, or they might have spent so long in the car or maybe the floor is too hard and it’s exhausting people so you slow down the tempos to keep ’em dancing.